What are the Best Bodyweight Exercises to Build Muscle? You don’t always need to use fancy machine to get a great workout. In fact, way back in the day plenty of guys used to get buff using nothing more than their own body. There are plenty of great bodyweight exercises to build muscle out there that hardly require anything more than an attached bar and some room to work. Squats – Who needs a barbell? Even without weights this is a great exercise for the entire leg and core. Plus, when not using weight you can employ a variety of stances more easily, go deeper, and concentrate on form and breathing. Lunges – Much like the squat, this is a great lower body blaster. Walking lunges are a great way to burn in some definition and work on endurance. Wide Grip Chin-ups – This is one of the best upper body builders for the back, arms, and shoulders. You need a bar to do the pullups from and the grip should be slightly wider than your shoulders. When you pull it is to get your chest to the bar in a smooth arc. Pushups – These are fairly standard but for variety you can adjust incline along with hand and foot placement to hit different areas of the chest. Underhand Pullups – Similar to standard pull ups, these work the back slightly differently and place more focus on the biceps. Bar Dips – This is a fantastic bodyweight exercise to build muscle. It works the chest, shoulders, and triceps. You can use parallel bars, a bench, or even two chairs! Standing Calf Raises – These can be done standing on a step or block for a greater range of motion. Constant tension and a full range of motion will get the job done. Bicycle Crunches – This is a great abdominal exercise when done properly. You want to alternate knees and elbows as you crunch so you work the upper and lower abs as well as the intercostals and a little oblique muscles. Hanging Leg Raises – Another great abdominal exercise involves hanging leg raises to stress the hips and lower abdominals. Plank – This is a classic plyometric exercise to really finish off the core muscles along with the chest, shoulders, and triceps. When doing bodyweight exercises to build muscle the key is muscle tension. 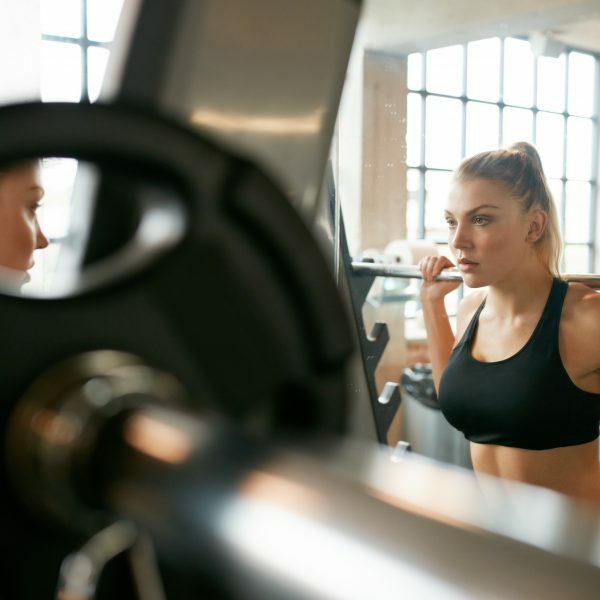 You want to keep tension on the muscles as long as possible which can be accomplished by slowing down your repetitions and forcing the muscles to work harder even with only your body’s weight as resistance. These exercises can be done as a circuit, performing each one for 30 seconds. Work to increase your time to 60 seconds. Then repeat the circuit twice for three complete rounds with only 30 seconds of rest between exercises.